Why Book a Serviced Apartment and Not a Hotel? The hospitality industry was taken by storm when private accommodation became open to renters through the use of mobile applications. In order to remain competitive, a number of property developers and investors came up with the concept of managed apartments. This is a step-up from your regular hotel accommodation because you are getting five-star amenities while having the independence of staying at an apartment. Business travellers choose to book a serviced apartment primarily because there is more space to move around. 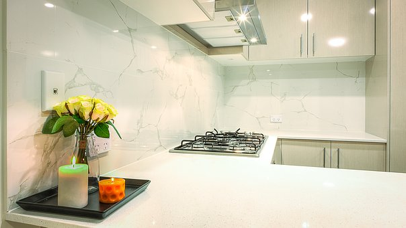 True to its name, a serviced apartment has separate living areas to sleep in, lounge in, and cook in. In most cases, renting a serviced apartment is much cheaper than a regular hotel room but the quality of amenities will not be sacrificed. If you are travelling in a foreign country, you would feel more comfortable in a space where you can move around and perform your regular daily activities without being constricted. Hotel rooms are often much smaller and can be impersonal at times. A serviced apartment allows you to bring in guests if you want to, and you can also cook your own meals in the separate kitchen. If you will be staying for an extended amount of time, a managed apartment can be your home away from home. Managed apartments also invest in security. Every guest will feel safe and have peace of mind knowing that they are staying in a well-protected property. Managed apartments have dedicated housekeeping services that will clean up the place while you are away. Similar to hotels, you can request specific services or schedule cleaning at different times whenever it is convenient for you. Serviced apartments are also perfect for travelling families. With separate rooms and living areas, parents don’t need to stay in the same room as their kids. This is also the same when you are sharing a serviced apartment with a colleague. You can rent an apartment with a couple of rooms so that you don’t have to share rooms and disturb each other. Most serviced apartments are situated close to commuter routes and popular tourist spots. It gives guests plenty of opportunities to experience the city like a local. It is also more convenient to see new places and locations that would otherwise be inaccessible when you stay in big hotels. These are only some of the reasons why serviced apartments have taken the hospitality industry by storm. More and more people are looking for accommodation that gives a more personalised experience close to what it would feel like if you stayed in your own home. Not only is this option popular with companies sending employees on business trips, but it is also picking up as the popular choice for tourists and other travellers on a budget who are still looking for the best quality service they can afford.